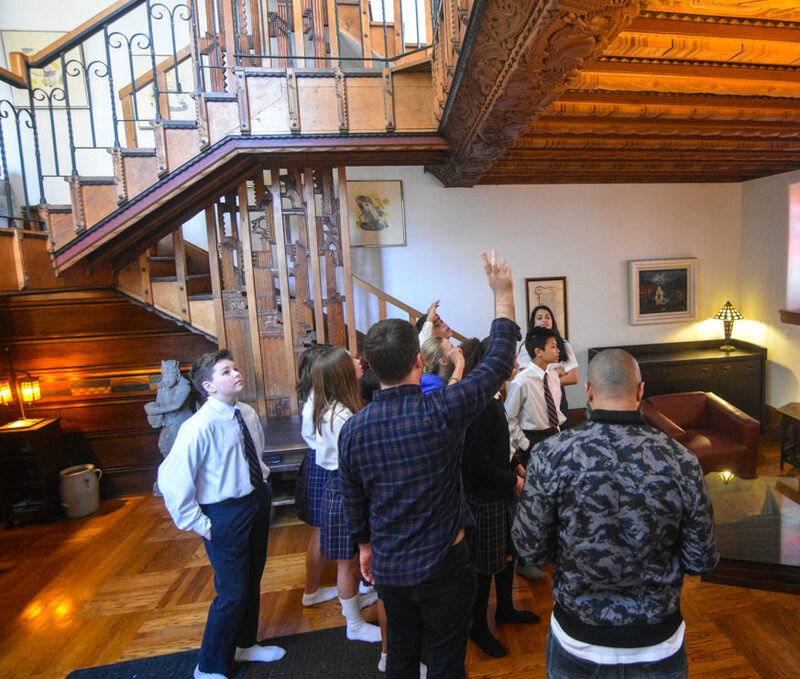 Last month, students from Immaculate Conception were given a rare opportunity to step foot inside an absolutely stunning piece of livable art designed by artistic genius, Edgar Miller. Usually, these artist studios in Old Town are occupied by residents, so tours only happen once a month and we just managed to get in! 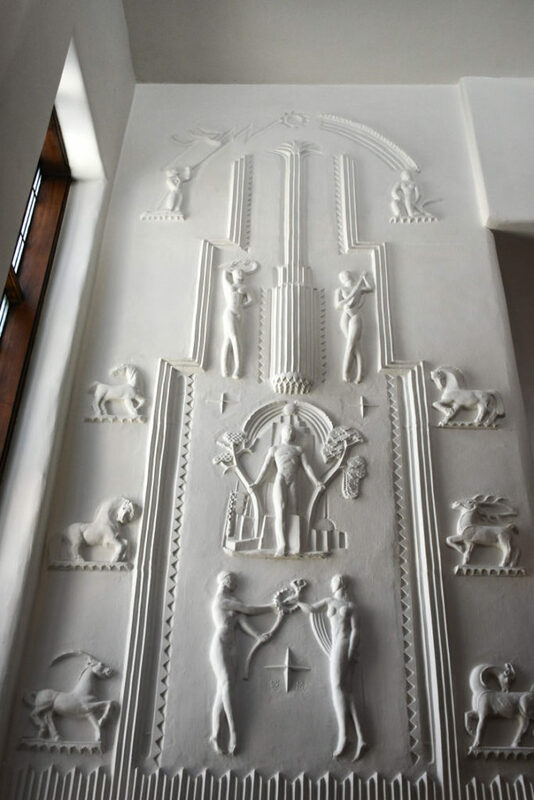 Miller was known to be a “Renaissance Man” who utilized multiple styles and materials to turn old buildings into inspirational works of art. 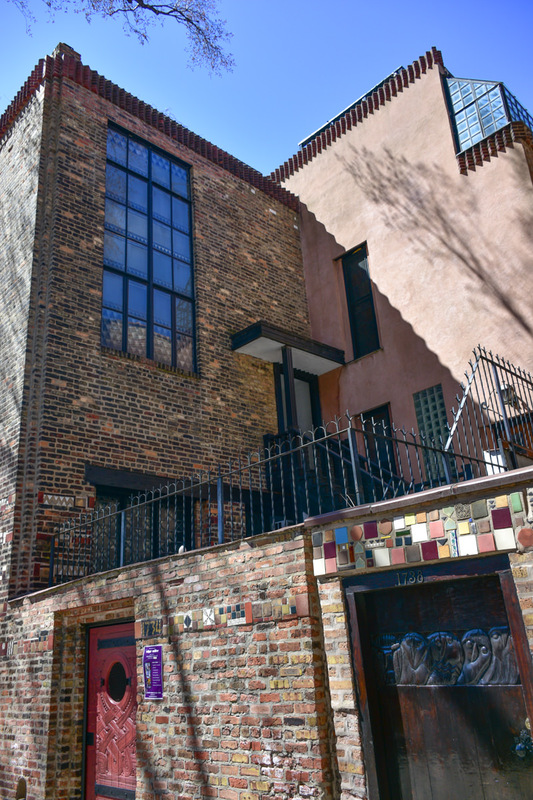 His creativity and skill can be witnessed while visiting these studios that were built specifically for other artists, or at his other easily identifiable houses right here in the neighborhood! 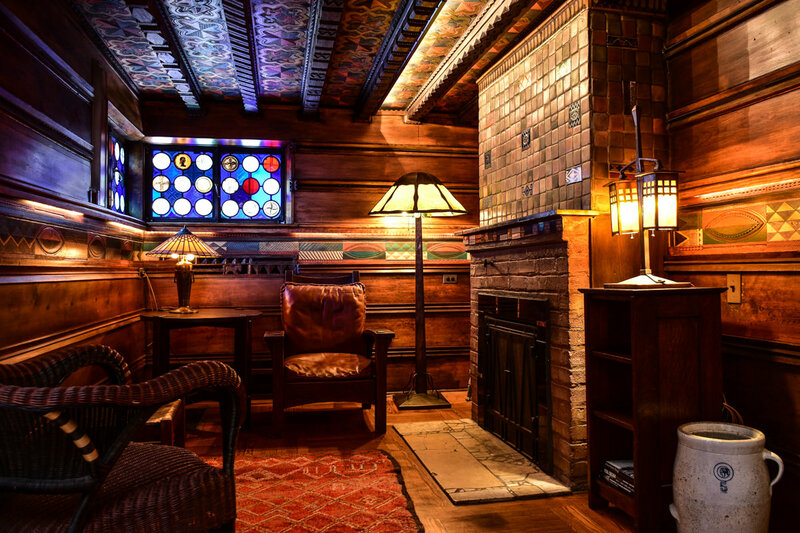 The Glasner Studio completed by Miller was commissioned by art enthusiast and philanthropist Rudolf Glasner in 1928. Glasner’s vision of this particular studio was to be a “Church of Art”– a place people could gather to discuss topics of art and philosophy. As the Chicago art scene was quite lively then, I imagine this place, surrounded by nature, must have been quite the scene. The studio continues to bring admirers of art and ideas through its doors. The studio has many warm elements that become illuminated by the sun. Miller came back every decade to work on the artist lifts and added the kitchen in 1946. Frank Furedy had requested the kitchen along with additional work to the ceiling in the “warm room” which consisted of all of the scientists with meaningful impacts on the scientific community and global community as a whole. This was of course because Frank was himself a scientist. 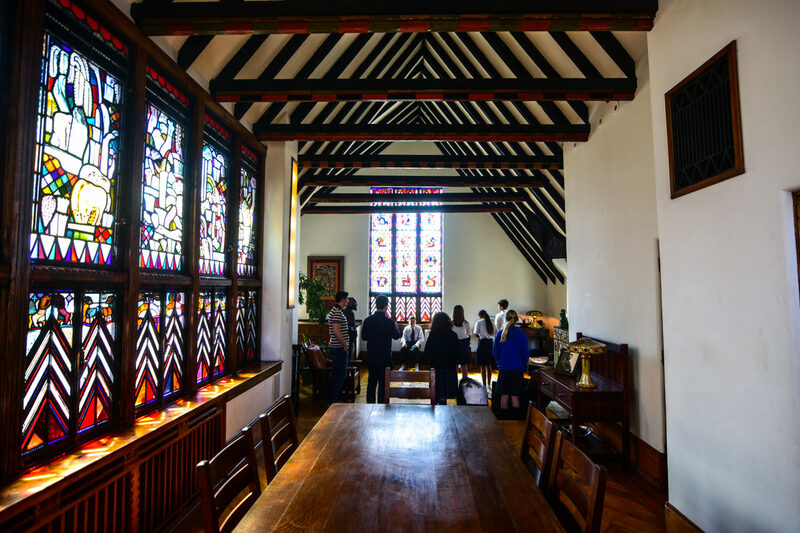 One of the most striking parts of the house is between the 2nd and 3rd floors. An incredible handmade mural that features thunder and lightning, the violence of creation rainbow quietude of inspiration. Below are five muses music dance visual art drama architecture/design (we humans are the only species on Earth who recreate their own environment) and finally coming out of trees animals outside represent what’s outside human world. 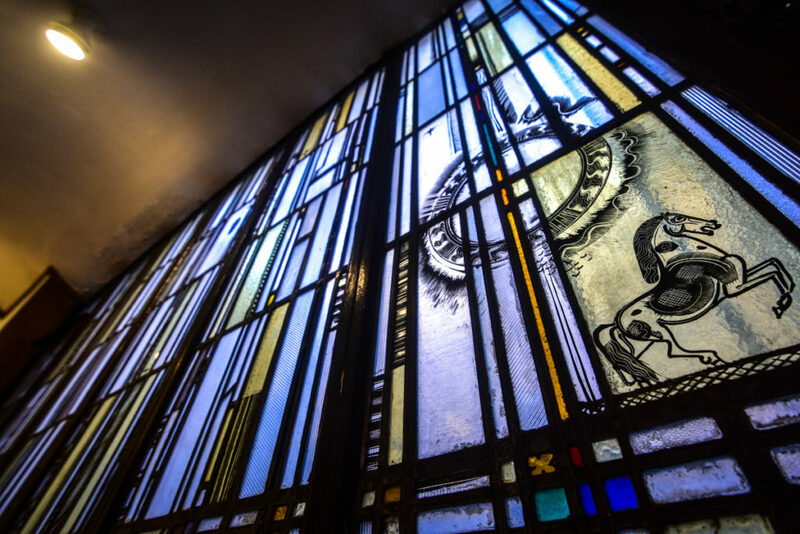 Edgar Miller was not only an architect but also a painter, wood carver, stained glass designer, graphic artist and more. Truly a man of several crafts and talents, in a style that is truly, timelessly his own. Another interesting fact we learned during the tour is that Miller’s father was a beekeeper! We can see a consistent theme of nature and ancient civilizations throughout the art and architecture. Mr. Miller was greatly influenced by several trips to Mexico he made. In an effort to overcome language barriers with the indigenous population, he provided honey as a token of friendship. Miller’s father’s connection with the indigenous peoples was passed on to his son, as Edgar developed a passion for indigenous arts, later reproducing them at the studio. 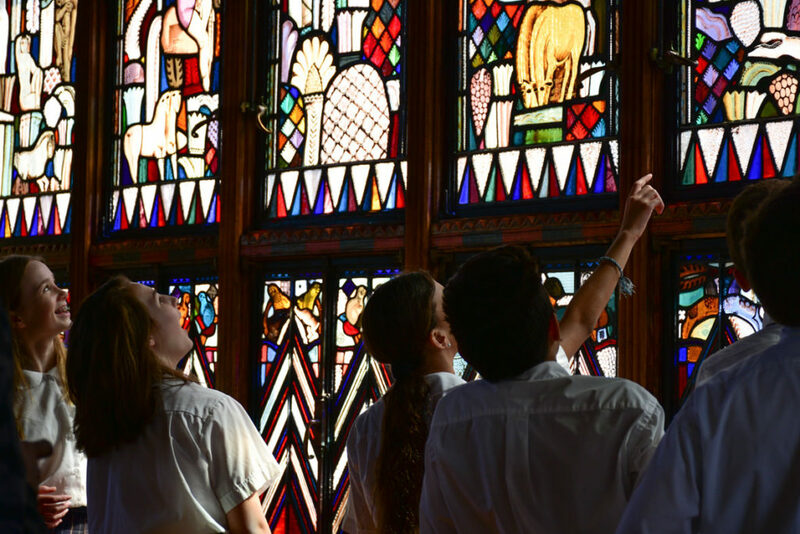 Students admire the ceiling work handcrafted by Miller paying tribute to historically influential scientists. 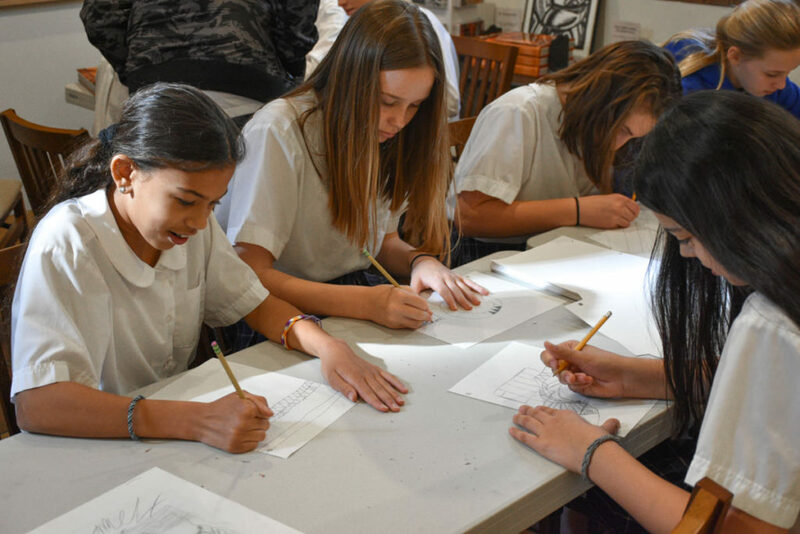 Before the tour was over, the kids went to work creating an art piece inspired by something they saw during the Artist Studio Tour! We highly recommend you book a tour to see this great piece of Old Town, Chicago history for yourself through the Edgar Miller Foundation! Students using inspiration from their tour to create their own drawings. Art & Impact: including high school students in social practice, summer 2018.